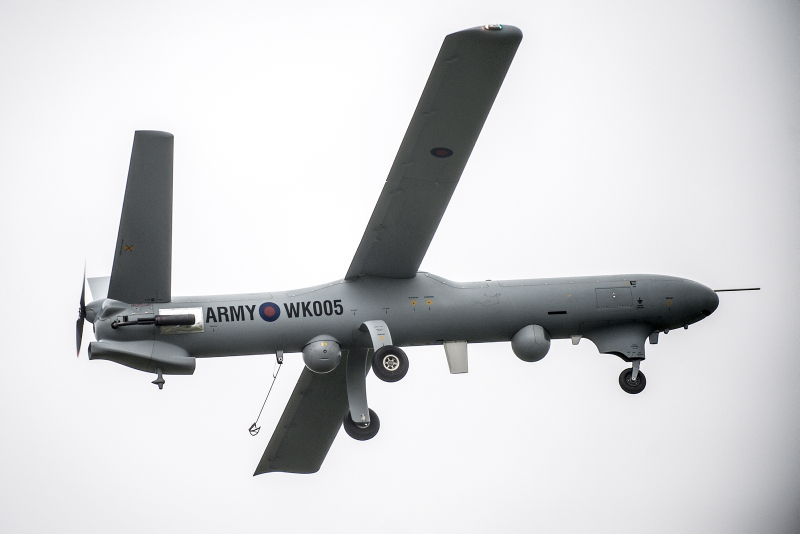 Rarely in the limelight is the humble British Army imagery analyst, who in recent times has provided excellent IMINT support to the Army’s Unmanned Aerial Vehicle (UAV) program in Op HERRICK; primarily the HERMES 450. Enjoying the same imagery training as their counterparts in the RAF and with a strong ground intelligence background, the advice given to commanders in Afghanistan about the comings and goings of insurgents in their area undoubtedly saved lives as well as providing actionable intelligence. In the contemporary Divisional context, the WATCHKEEPER UAV will be of great use; able to react to targets arguably faster than its peers in the SIGINT and HUMINT domains. The number of Army platforms with imagery sensors on board is increasing, from Helicopters,3 to UAVs,4to ground vehicles5 and static6/dismounted patrols.7 While not all this imagery will require interpretation by a qualified analyst, a lot of it will. The amount of work that British Army IMINT analysts will be called on to do in the future is increasing. Therefore, the current structure of one IMINT Troop of approximately 25 imagery analysts needs to evolve and grow. In the same way that business is becoming more service based (e.g. where a person wants a transportation service but doesn’t want to own and maintain a car, hence Uber) a military customer wants imagery intelligence services but doesn’t want the day to day administration of running a group of imagery trained Intelligence Corps soldiers. Tying down the Army’s imagery analysis capability to just one unit (e.g. a Royal Artillery or Army Air Corps Regiment) is illogical in an age where the analyst might need to be interpreting a synthetic aperture radar image from a WATCHKEEPER UAV one day, analysing traffic on a moving target indictor radar from a Wildcat helicopter or a low light image from a ground reconnaissance patrol the next. Holding these troops in a centralised pool is the best solution to ensure proper allocation of resources. The best place would be within the National Centre for Geographic Intelligence (NCGI), with the rest of the civilian and tri-service imagery analysis brethren. Imagery intelligence in the Army is currently conducted on bespoke systems depending on the platform. The UAVs, helicopters and ground forces all have different (or no) ways of conducting detailed interpretation of the imagery that they collect. WATCHKEEPER imagery equipment can only be used to exploit WATCHKEEPER imagery, for example. This leads to a lot of the imagery analysts’ time being used to learn how to push buttons on different kit for different platforms. A deployable Intelligence Corps team with their own ruggedised imagery analysis equipment, able to be plugged into or receive data from other systems, could be platform agnostic and support commanders by analysing imagery from any of the array of sensors on the battlefield. In different scalable versions of the deployment, a smaller imagery analysis team could go out of the door with just a laptop. Or in a more enduring operation a team of imagery analysts (with Royal Signals support) could run a server library of many different imagery types to look back at an area over the short or long term. Project ATTACKER8 performed this role with a variety of different imagery from different platforms as a UOR in the past but this capability was lost after Op HERRICK. Perhaps the biggest opportunity on the horizon for the Army’s tactical IMINT capability is the rise of the CubeSat; a miniaturised satellite that uses commercial off-the-shelf components.9 The bus sized American spy satellites costing billions of dollars on predictable orbits still have their place to answer big strategic questions about adversary heavy infrastructure but constellations of hundreds10 of shoe box sized civilian CubeSats will be able to see any part of the globe with a reported five-minute refresh rate.11 The satellites are operated not only by nation sates but by companies who sell their high-quality imagery to the highest bidder.12 This is a scary prospect to someone who wants to hide a large headquarters but an exciting opportunity to an Intelligence Corps solider who wants to answer the commander’s question about the upcoming bridge. The imagery analyst would further earn their money by mitigating to some extent the effects of adversary deception, by being able to cross-reference the imagery with other intelligence feeds. Getting this imagery data would involve buying it off the shelf (which would have to be done carefully so as not to give away what the commander was interested in) but it would not tie up the cognitive bandwidth of the rest of Defence. An even scarier prospect would be not having this capability and having to put people and equipment in harm’s way to look at an obstacle or route while our adversaries do it with a CubeSat account, 4G telephone signal and a stolen credit card. The Army’s IMINT capability came of age supporting Royal Artillery batteries of UAVs in Iraq and Afghanistan but the imagery analysis game is rapidly changing. Only by getting ahead of the curve and creating a properly equipped and structured Army tactical IMINT unit can we properly exploit the sensors in the Land domain and experiment with future capabilities. Dave has 15 years of experience in signals, imagery and operational intelligence both as an analyst and leader. He has supported a variety of operations both at home and abroad with an assortment of joint and single service units.